Posted in News, Research, under Asia Europe North America South America. The UK and US are set to dominate as international education host countries in 2024, while China, India, Nigeria, Saudi Arabia and Pakistan will all be crucial student source markets in a sector that is predicted to grow to cater for 3.85 million international students, up from 3.04 million in 2011. 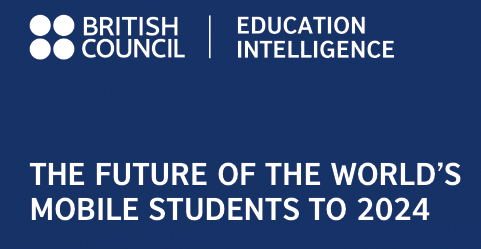 These are the findings of the British Council‘s latest report, The Future of the World’s Mobile Students to 2024, which was released at the AIEC conference in Canberra this week. The two fastest growing source markets, China and India, will contribute 855,000 and 376,000 students respectively to the mobile student population, it says, by 2024. The two countries alone are expected to contribute 32 per cent of total global outbound higher education students within a decade. Germany is forecast to become the third largest sender of higher education students, with a predicted 139,000 outbound students, overtaking South Korea. Meanwhile, developing economies including Pakistan, Turkey and Indonesia will also emerge as important source markets. As expected, the US, UK, Australia, Germany and Canada will continue to be the largest host markets, suggests the British Council’s Education Intelligence unit. Globally, higher education enrolments will increase, albeit at a slower rate of 1.4% compared to the 5% to 6% seen in previous decades. India will be the fastest growing higher education enrolments market by 2024, leading the way with 12.7 million additional admissions nationally. China will emerge as a competing host nation, as it strives to reach its target of 500,000 international students by 2015. In 2012, China hosted 328,000 international students and as investment in its own higher education system increases, researchers predict a possible drop in Chinese students travelling abroad for higher education.